TOA Volunteers View: Tales of refuge | Take One Action! Take One Action Volunteer, Kevin Perreau, takes a look at this year’s programme and how it connects to his experience volunteering with refugees / asylum seekers in Scotland today. It is simple to feel content within our social bubbles. A lot of people tend to stay within their respective circles; viewing with the same perspective, unaware of how different other groups have experienced their lives. With no real motivation in life besides going to university, getting a job, playing football, etc., I was encouraged to volunteer at a young age with refugees. The first moment I had entered a small flat that had to house at least four families and be used as a school for ten children of various ages, my bubble had popped. My life had drastically changed, viewing how people so close to me geographically could live such contrasting lives was shocking to say the least. However, it enabled me to discover and learn much more than any of my other life events. Moving to Glasgow and exploring the different opportunities to engage with the refugee community has continuously challenged my outlook on the world. Getting to know so many people from different cultures and understanding the hardships they face constantly reminds me of how lucky my life has been. It is also why I easily make the choice to remain volunteering with an issue that I can feel very passionate about and make a difference. Many of these people have voices, they want to be heard, not only about all the persecution and struggles they have faced, but on how their life might have changed for the better. A tale between a father, his plan of crossing borders, and his daughter finding out during their journey. Antouni captures how difficult it is for any party leave a place which they might have thought was called home. Not only could the excruciating journey be felt, but the personal struggle between a parent and their child is captured effortlessly in the story. Not to mention, the cinematography makes this film a masterpiece, really emphasizing human emotions. 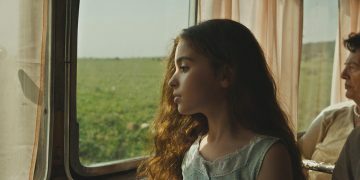 In this very short film, not even 2 minutes long, child refugees are showcasing their enormous talents and abilities through their imagination. A film that strikes very close to me, showcasing that no matter who or where you are, young people deserve to be young. Everyone has aspirations, and they need to be given the same opportunity as everyone else. 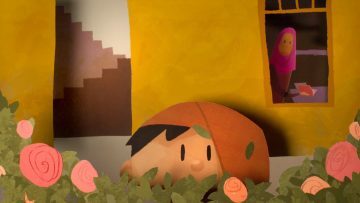 In this cute animation, reminiscent of a Calvin and Hobbes comic, a boy struggles to use his superpowers in his new city to find his mom the perfect gift. 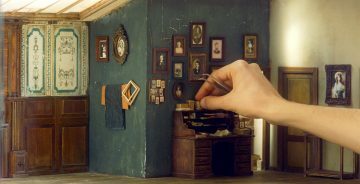 Hadia is unique, not only in animation style, but in storytelling. It’s a great film to showcase the circle of positivity. Stuck in a life where he doesn’t know the outcome of his own life, an Iraqi refugee decides to build his own home, since nobody else is willing to offer him one. A theme that I feel resonates with a majority of the population, what is home? 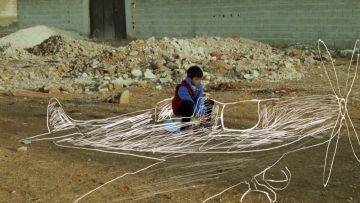 Instead of waiting for a sign given to him, one refugee creates an exquisite masterpiece. Inspiring to pursue one’s passion, but also to exploring how to answer personal questions. And at the end of the day, all he really wants to do is share his world with everyone else.